Are you the sort of person who usually avoids social media thinking it useless fluff? Well, think again! There is a myriad of Facebook groups and pages that you as an interior plantscaper may find more than helpful. Here I share some of my personal favourites. Seeking advice on a plant’s cultivation and maintenance? Want to trade or find unique indoor plants? Need some help identifying that unknown plant brought into your nursery? You can pretty much find a lot of this information on Facebook if you just know where to look. While Facebook is not a search engine per se, there are qualified professional horticulturalists and botanists using it who possess knowledge that even Google probably would not have hands on. And there are some extreme indoor plant enthusiasts who put me to shame! Facebook is unique in social media as it really allows users to create communities of interest who can engage with each other across the globe. If you want to ask a fellow professional interior plantscaper a question say about the best tools of the trade, then this is the go-to page for you. 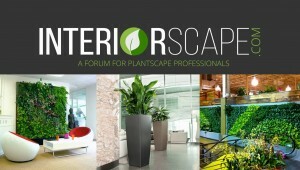 Interiorscape.com is a forum and community for plantscape professionals to come together to encourage professional growth and increase job satisfaction. Members give and receive advice and help each other out with all things interior plantscaping. This group is targeted mostly towards those people working in the United States of America. However, it does accept members from overseas if you are working in the field. NB. To be considered for membership, you need to answer three questions asked when you request membership. If you love all arums, then you will love this group! The International Aroid Society is a non-profit organization which supports aroid education, research and horticulture through publications, awards, events and the website aroid.org. Anyone who has an interest in the Araceae family can request membership. Membership is moderated. You must read and answer two short questions in order to be added to the group. My current favourite arum is Alocasia wentii, a specimen of which I have growing at home and affectionately call “Terry the Taro”! Into ferns? Then this may just be a group for you to consider joining. Lichens, Mosses, Ferns and Fungi (LMFF) provides a forum for people wishing to post about lichens, mosses, ferns, fungi, slime moulds, liverworts, hornworts, quillworts, clubmosses, spikemosses and horsetails. Members of this group have posted some of the most beautiful photos of plants I have seen on Facebook. If you want to stay in touch with indoor plant trends, then it pays to keep abreast of what the non-professionals are doing in their own homes. Indoor plant enthusiasts not only share their photos on Pinterest and Instagram, they also do the same on Facebook. The difference on Facebook though is that it provides a forum for opening the conversation further. This group was created by a mother and daughter duo who share the love and passion for plants and nature. They call it “a loving community of plant knowledge and sharing of the beautiful addiction of plants”. Want to keep in touch with what ‘normal people’ are doing with indoor plants in Australia? These people are seriously nuts when it comes to indoor plants! Many of them know their ‘stuff’, whilst others are relative newbies to indoor plants. This group is for people who love indoor plants of all skill levels. Members are encouraged to post pictures of their plants, share information and trade plants. Last, but not least, is our very own Interior Plantscape Association (IPA). Need I say it? This is the place for you to share news of your projects and events with fellow professionals. Help lift the profile of our industry by sharing your good news stories with us and we will share alike. So, what are you waiting for? Get on over to our page now and let us know what you have been doing. There are many other pages and groups on Facebook sharing interior plantscape information. 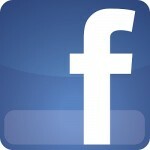 So why not try searching Facebook for a group that may suit your indoor plant information needs? If you come across one you find particularly useful, remember to share it with us on the IPA Facebook page. 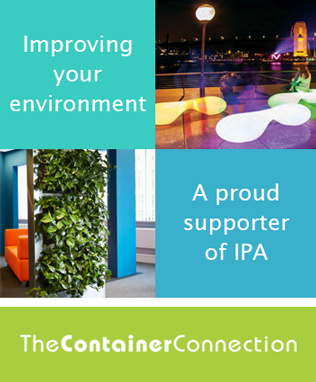 It may just help other IPA members, thereby benefitting the whole industry.